I hope you can join us for a magical tea party with Snow White! We will enjoy crafts, refreshments and end up with a dance party on stage with the Princess!!! Construct your core; Create your confidence! 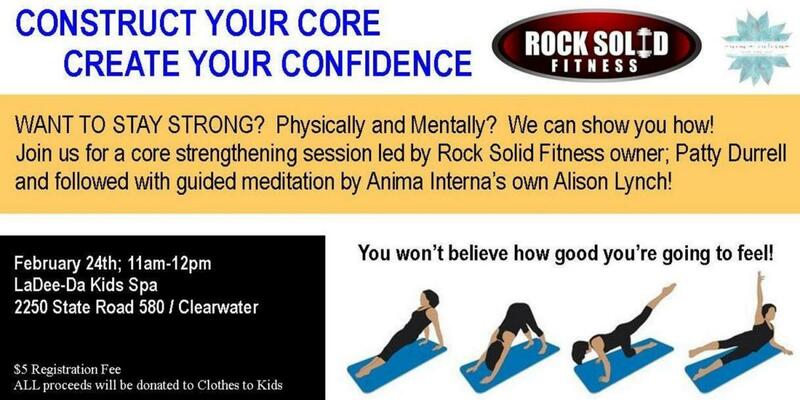 We are partnering with Rock Solid Fitness and Anima Interna to provide this amazing core strengthening and guided meditation session on February 24th! I hope you can join us! !